In a official post on the Ubuntu Forums, user Matthew (a official Canonical employee?) asks users to complete a survey with the applications they would like to see in the upcoming versions of Ubuntu. Among the applications one can find: Spotify, Pandora, Hulu, Skype, WoW, Picasa, Adobe Photoshop, Apple iTunes, CodeWeavers and a couple more applications. I'm wondering if Canonical has plans to bundle CodeWeavers CrossOver with forthcoming releases? Most of the applications CodeWeavers already supports and the one or two apps they don't officially support will already run as Unsupported apps in CrossOver now. The only change would be for CodeWeavers to officially support the apps in a upcoming release. So ask people what Apps/Games they would like to see running on Ubuntu then ask if they would also use Codeweavers..... I suppose if enough people say YES to the CodeWeavers question we just might see a bundle between the two companies. We are trying to gather preferences for the apps that users would like to see in upcoming version of Ubuntu. While we all believe in the power of open source applications we are also very keen that users should get to choose the software they want to use. There are some great apps that aren't yet available to Ubuntu users and Canonical would like to know the priority that users would like to see them. This list is indicative not definitive and we would love to also read your suggestions in the free text box. They are also requesting that anyone who has comments please do so here. Note: there has been some confusion that I would like to clear up--this is not about applications to be included by default, but merely things that we may attempt to make more easily available for Ubuntu users to install for themselves from official repositories. The open-source Wine project is less a solution and more a workaround when it comes to the issue of running Windows applications on Linux. After devoting my last couple of columns to the topic of choosing an alternate OS (in particular, Linux) without giving up your Windows apps, I didn't plan on extending the discussion further—that is, until a lively reader exchange prompted me to turn that pair of columns into a trio. If we're to discuss Windows applications on Linux and other Unix-like operating systems, how can we forget about Wine, the open-source project devoted to building a sort of shim between the APIs that Windows applications require and the equivalents of those interfaces on a Linux machine? I've been keeping tabs on Wine for as long as I've been following Linux, and my exclusion of Wine was less about having forgotten about it than about having set it aside—at best as a “maybe someday” solution and at worst as an altogether lost cause. For a time, I hoped that Wine would be the answer to the Linux apps chicken-and-egg problem. However, things never quite worked out that way. What's more, even when it is possible to get your Windows apps running on Wine, various tweaks are often required to get there. For instance, while getting reacquainted with Wine to write this column, I found that the Windows apps I tried to run appeared on my desktop with jagged-looking fonts. I managed to enable font anti-aliasing to address the issue, but only after fiddling around in the registry of my Wine installation. Once you've gotten an application running, the next set of system updates you apply—whether to your Linux machine, to the Windows app in question or to Wine itself—could well sour your installation, requiring still more tweaking and forum searching. 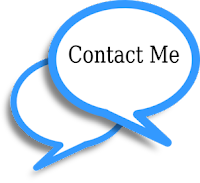 For certain popular applications, you can save yourself some of this hassle by purchasing a Wine distribution such as Codeweavers CrossOver product as a way of outsourcing some of that tweaking and searching work. But if you need support from your application's vendor, I imagine you'll have a tough time finding Wine in any supported configurations matrix. For all these reasons, I can't see Wine serving as a reliable option for addressing the Windows-apps-on-Linux problem. Rather, it's a workaround, something to keep in mind and try if you're in a pinch, but not something to count on. Now, if, as the reader I discussed this with suggested, all the big Linux vendors got together and invested in Wine, I don't doubt that they could improve the project a great deal. According to the project's bug tracker, some work toward USB support is under way, and versions of the .NET Framework earlier than the one I need for the vSphere client are reported to work. However, these vendors have reacted toward Wine with unambiguous ambivalence for going on 10 years now. Considering how slow the projects and companies that drive Linux have been to seize on and integrate the largely Linux-powered apps of the Web into first-class citizens of their desktop distributions, it's tough to imagine them working hard to enlarge the application base for Windows. 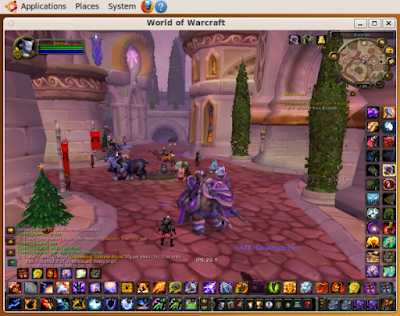 World of Warcraft runs well in Ubuntu. If you are looking for an operating system that offers the best values, none can compare to Linux. First of all, it's free. 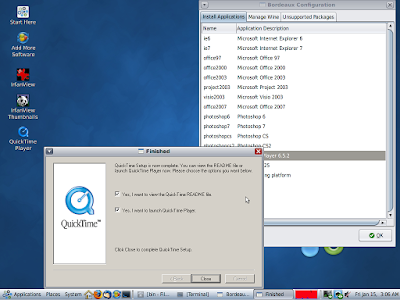 Most Linux distributions can be downloaded gratis from the developers' Web site and you can install it on however many computers you want. Secondly, it comes with a lot of things, such as office tools (word processing, spreadsheet, presentation), audio and video playback, Internet and e-mail, instant messaging, and so on. Basically everything a general user would want to use with a computer is there when the installation is done. For those applications that are not there, chances are you can download them for free. Wine is more than just an emulator; it makes Windows applications run in Linux much like they do in Windows. 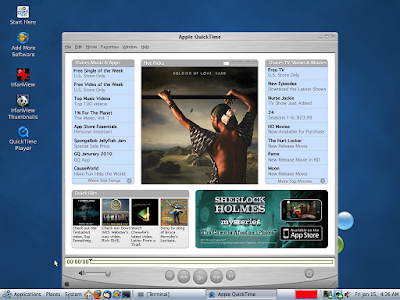 There's also a Linux application called Wine that allows you to run Windows software within Linux. What is special about Wine, however, is the fact that it's not a traditional virtual environment and therefore runs Windows applications very much the way Windows does, without much overhead. Unfortunately, not all Windows applications work with Wine and even if they do, you might not be able to install or run them the way you do in Windows. Wine, which was developed in 1993, is a recursive acronym for "Wine Is Not an Emulator," though this doesn't make it true that it is not an emulator. 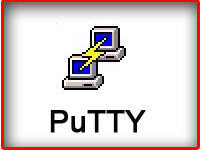 Rather than acting as a full emulator, it implements a compatibility layer, providing alternative implementations of the DLLs that Windows programs call, and processes to substitute for the Windows NT kernel. The Wine project has run into a lot of difficulties, mostly because of the incomplete and incorrect documentation of the Windows API. For this reason, after 15 years of development, the first version of Wine (1.0) was release in mid-2008. Over my Christmas break, I decided to try out the latest version of Wine with my most frequently used Windows application, which is called World of Warcraft (or WoW). Just so that it's clear that I am not antisocial, this didn't take away much time spending with friends and family, as it actually took me less than an hour to do the whole thing. 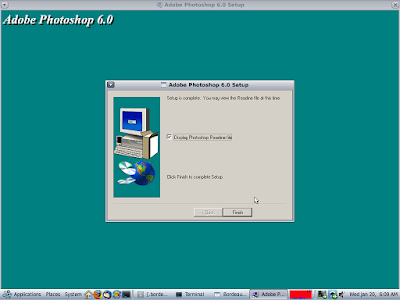 I started out with getting an ISO image of the ever-popular Linux distro Ubuntu version 9.10. After that, I burned the image onto a CD and started the installation from it. 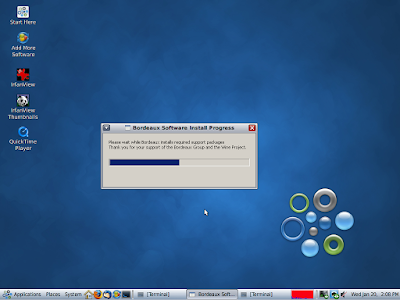 If you have ever installed an operating system, such as Windows, the installation of Ubuntu is very similar to that. You just need to insert the CD into the optical drive, boot the computer from it, and follow the instructions. The installer will do everything for you, including configuring the hard drive and setting up dual-boot if you want to use it on the same computer that also has Windows installed. In this case, make sure you pick the amount of hard-drive space you want to use for Linux carefully, as this can't be changed once the new OS is installed. 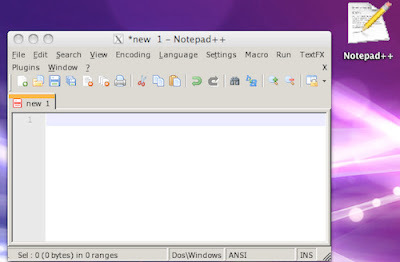 You need to launch the Windows executable file using Wine Windows Program Loader to run a Windows-based application within Linux. Note that in case there's no free space on the hard drive, the Linux installer will automatically shrink the partition used by Windows and free some space for Linux. This process, apart from making the Windows partition smaller, doesn't change anything else and your Windows should work like normal. However, a good rule of thumb is to make sure you back up important files prior to installing Linux. In my case, I installed Ubuntu 9.10 on the same Core 2 Dual machine with 4GB of RAM and a 500GB hard drive that runs Windows 7 into a dual-boot setup and the whole process took less than 30 minutes. After that, at boot up, I have the option of booting in either Windows 7 or Ubuntu. Once the installation is done, though Ubuntu runs fine, chances are not all the hardware components, such as video or sound, have their optimized drivers installed. You need to manually do this by running the Hardware Driver utility (System -> Administration -> Hardware Drivers); this utility will list the hardware components that require proprietary drivers and you just need to install (or activate) them. In my case, I needed to do that for my video card, which is a budget Geforce 8300GS with 510MB of RAM. Wine can be installed for free and the process takes just less than a minute via a broadband connection. The next step is to install Wine. You can do that via Ubuntu Software Center (Applications -> Ubuntu Software Center). Here, you select "Get Free Software" then search for "Wine." In my case, I found two versions of Wine: Wine Microsoft Windows Compatibility Layers and Wine Microsoft Windows Compatibility Layers (Beta Release). I picked the beta release. (Obviously newer is better, right?) The installation of Wine literally took a few seconds with the Internet connection I used, which was really fast. If you use a regular DSL, this might take around a minute. Now it's time to install WoW. I did it the way I've always done in Windows in the last couple of years: copying the whole "World of Warcraft" folder over from another computer. This is because installing the game from scratch would take hours, considering all the updates and the almost 20GB of storage space that the game requires. With Linux, however, you might not be able to install WoW from scratch anyway. The WoW installer that I tried refused to continue, citing that the computer doesn't meet the game's requirement. This is probably because it could read the computer's hardware via Wine. Because WoW wasn't installed from scratch, I couldn't launch it from Wine's Start Menu (which resembles that of Windows'). Instead, I need to call the game's executable directly. The trick is that you need to call it via Wine Windows Program Loader by right clicking on the Wow.exe file and choose "Open with Wine Windows Program Loader." It won't work if you just double-click on it. And that's it, the game loaded and worked just like in Windows. I could run it in full-screen mode, Windows mode, using the add-ons, etc. The performance was decent. At the recommenced settings, I had consistently 20 frames per second in Daralan, the notoriously slow and laggy area of the game. In other areas, such as dungeons, I was able to get up to 45fps, which was really impressive considering the budget video card. Overall, it was a really interesting and exciting experience. However, WoW crashed during start-up a couple times; this could be solved by simply restarting the computer or reinstalling Wine. This is probably where the "beta" notion of Wine is to blame. 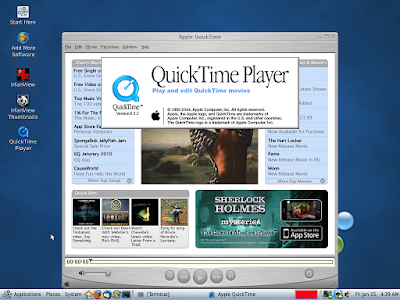 Other than WoW, I tried a few other Windows applications, such as iTunes and QuickTime, and they worked, too. however they didn't always work the way you expect in Windows. 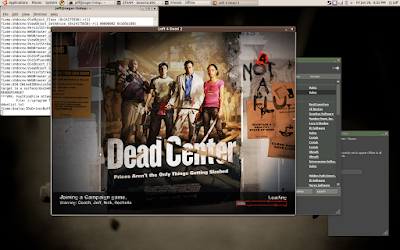 All in all, Wine will not make an alternative to Windows, but the fact that now I can run my favorite game in Linux makes me believe that Linux is really an ideal operating system for savvy users. So if you think you are one, make a backup of your Windows computer and try it out. It's a lot of fun and doesn't cost anything. Over the past few years, there has been a common question on the Linux vs. Windows desktop front: does the Linux desktop have the ability to play various major release games, and if so what is the performance difference between the two? 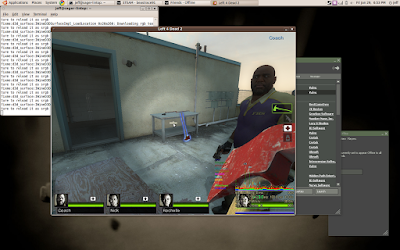 Linux is commonly overlooked as a viable gaming platform in most communities. Our intention today is to shed some light on what does and does not work inside Linux, as well as give solid performance data for those looking for another option in the gaming world. Each OS has areas where it shows superiority over the other, but for the sake of staying true to the purpose of this article we will only be focusing on the game performance/functionality differences. 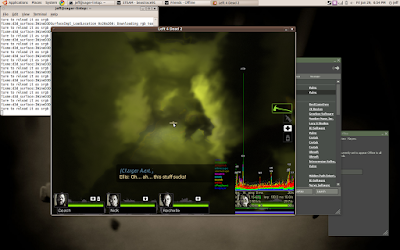 Unfortunately there are very few game releases that support running inside Linux natively. 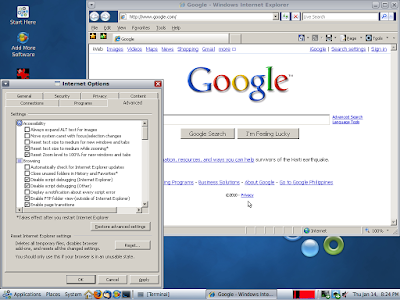 To combat this issue there are a few Linux projects that will allow Linux users to run Windows applications - note that we did not say "emulate Windows". We have selected three Linux projects in order to complete our initial round of testing. Our open source project selection "Wine" is a free, easily downloadable project that is created to support both Windows games and applications. The second selection, "Cedega", is a closed source implementation of Wine focused on gaming. The final selection is Crossover Games which like Cedega is a closed source implementation of Wine allowing for enhanced usability and gameplay over Wine. Some are probably asking at this point, what is Wine? 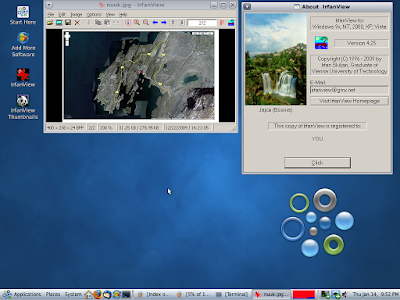 The Wine project was started in 1993 to allow Windows applications to be run under Linux. Wine takes the Windows API (Application Programming Interface) and implements it in the Linux user space. Since Wine is running in user space and is not a part of the Linux Kernel, it relies on the wineserver daemon to provide your basic Windows kernel functionality as well as other various tasks of X integration. As a quick recap, there are two basic goals we want to complete in this article. 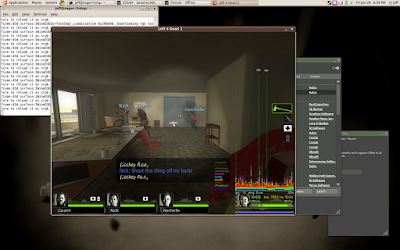 First we want to compare performance and functionality of games between Linux and Windows. Second, we will look at the performance and functionality differences of Wine/Cedega/Crossover Games. Now that we have a basic understanding of Wine, we can dig into Cedega and Crossover Games a bit. The two major goals behind Cedega and Crossover Games are to offer additional game support and a friendlier user interface than what is currently implemented in Wine. That being said these projects have taken two different approaches to the solution. Since version 2.1, Cedega has been patching and developing their code without using the public Wine source tree. This is mainly due to the license change that occurred with Wine back in 2002 from MIT to LGPL. Under LGPL Cedega would have been forced to publish all their source code for free. 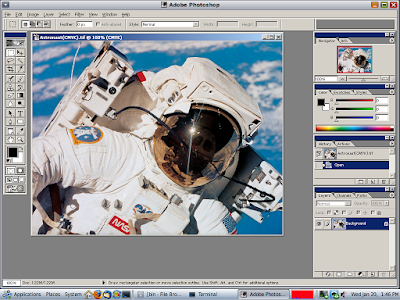 The result is that parts of Cedega are open source, but the GUI, Copyright Protection, texture compression, and other parts are closed source. The GUI and Copyright Protection (SecureRom and SafeDisk) is what most people really want, but there are other benefits to paying. First, you get a nice package that won't require compiling on your part - these are available for most Linux distros. If they don't have a package available, you can still get a precompiled binary. Purchasing Cedega also gives you the ability to vote on what games to support in future releases, potentially getting your personal favorite to work sooner rather than later. Cedega will cost $25 for a 6 month subscription or $45 for one year. If you just want the free version, you lose out on the GUI and you're also going to need to try and get the project to compile on your own. That will entail finding and setting the correct flags for your distro, and in many cases you'll also need to find a patch to make it work. Crossover Games uses the current Wine source tree and employs Wine developers to handle part of their proprietary code. Crossover Games also contributes code to the Wine project as per the LGPL license. This means more of the Crossover source code is available, but paying still provides a better experience - otherwise you're going to have to deal with the same compiling/patching issues as Cedega. 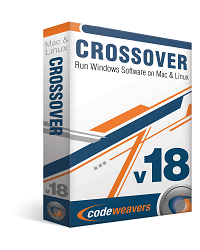 Crossover is available for Mac OS or Linux, with the Linux version costing $40 per year. (A $70 Professional version gets you enhanced features that are mostly useful for corporations and multi-user environments - nothing you need for gaming under Linux.) 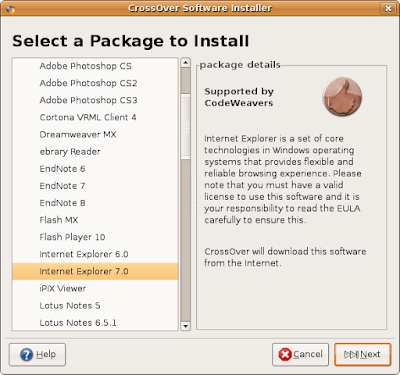 The free version of Crossover will provide users with some of the GUI, but the final result is still less desirable than the pay-for version. Honestly, if you're going out and buying $50 (or even $10) games and you really want to play them under Linux, you'll save yourself some headaches by just ponying up for the full version of the software. Of course, at that point you're almost half-way to the purchase of a licensed copy of Windows (though you'd still have to deal with the hassle of dual booting). One of the key features Wine is missing is relative to Cedega/Crossover is an easy to use GUI. Wine does install shortcuts on your Linux desktop, but when it comes to managing your different Wine environments there isn't really anything available. As far as the free versions of Cedega/Crossover, you get a somewhat functional watered down version of Crossover/Cedega, but I have never had great results with the CVS versions. You might as well pay the couple of bucks to get the full version along with all the bells and whistles. Users new to Linux will likely prefer Cedega/Crossover Games over Wine due to the interface and easy implementation of the application. Both of these projects also support different games than your standard Wine install. As far as game compatibility, the three projects use similar rating schemes. 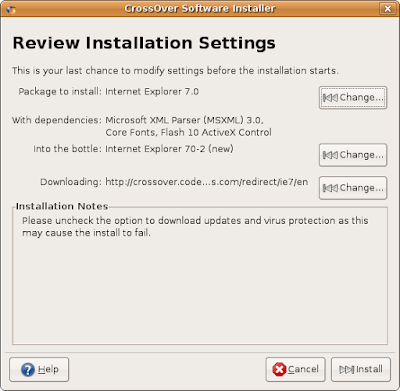 Wine and Crossover both use medals: Gold means it should install and run pretty much as you would expect; Silver means it will install and run well enough to be "usable", but you'll likely encounter some bugs or performance issues; and Bronze is for games that can install and at least partially run, but frequent bugs/crashes are likely. Wine also adds a Platinum rating, which is for games that install and run flawlessly - Gold Wine games may require a special configuration. For Cedega, the ratings are broken down into Cedega Certified (Platinum/Gold), Checkmark (Silver), and Exclamation Point (Bronze). There are of course plenty of other games that are unrated, as well as games that are known not to work. Despite the ratings, it's possible to have a very different experience than what you would expect. A bronze game may work fine for you, or a gold game may have problems. Hardware and drivers play a role, sure, but other times you're just left with some head scratching. Of course, if you're already running Linux and intend to give any of the Wine projects a shot, you likely are familiar with the process of searching wikis and forums, a skill which can save a lot of time. One of the great things about Linux is that there are hundreds of distributions available for us to utilize. We are selecting Arch Linux (64-bit) for a few different reasons. 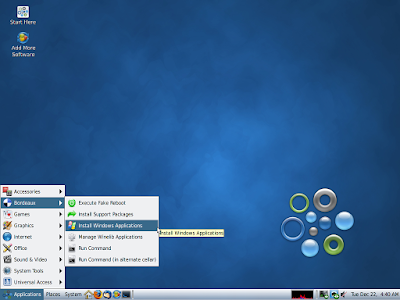 The Arch base install is small and does not come packed with pre-configured running services. This will remove any question about what might be running in the background that affects gaming performance. # Default values for important settings if not already in environment. # These settings should not need editing here. # WARNING: do not use single quote in any package description; that breaks the gui menu. # with some versions of bash if try is a shell function?! # Adding this explicit export works around it. # curl doesn’t get filename from the location given by the server! # FIXME: This is a huge download for a single dll. # to obtain the files and register the fonts by hand. # For now, not needed, but when Wine starts preferring our builtin dll over native it will be. # list down as soon as we can. # How many of these do we really need? # We should probably remove most of these…? # Should be below, but fails on Wine when used silently. # Those messages are suspect, probably shouldn’t be err’s. # as well gets us the correct exit status. # Just the first registry key works for most apps. # shdocvw.dll that should have similar VERSIONINFO. # Focht says Samyak is bad news, and font substitution isn’t a good workaround. # as part of Wine instead of in winetricks? # FIXME: busted if using curl! # And then make it globally available. # For some reason, native,builtin isn’t good enough…? # Create fake system32\drivers\etc\hosts and system32\drivers\etc\services files. # The hosts file is used to map network names to IP addresses without DNS. # The services file is used map service names to network ports. # Some apps depend on these files, but they’re not implemented in wine. # Fortunately, empty files in the correct location satisfy those apps. # Work around bug in codec’s installer? 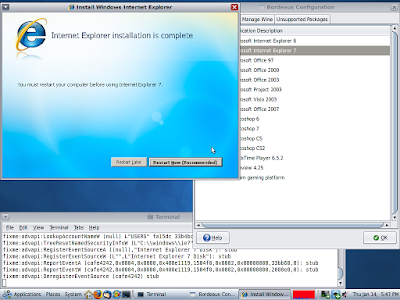 # The installer doesn’t want to install iexplore.exe in XP mode. # FIXME: what should this be for mono 2.2? # FIXME: what should this be for mono 2.4? # This is currently broken. Maarten’s not sure why. # FIXME: unzip this instead of running it if quiet install? # and pick Advanced / Safe Mode (gdi only). # but the format isn’t known, so we’d have to override all other settings, too. # but renaming drive_c to “harddiskvolume0″ lets you just run the installer as normal. # Not referenced on MS web anymore. But the old Microsoft Software Library FTP still has it. # Delete some fake DLLs to ensure that the installer overwrites them. # Exits with status 43 for some reason? # vcredist still exits with status 43. Anyone know why? # is to get it, vcredist doesn’t install it by default? 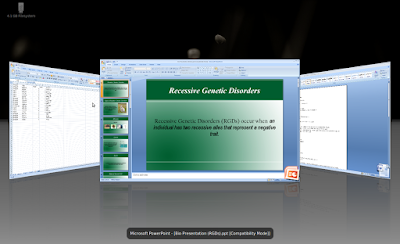 # overwriting the older vcrun6 redist by renaming the extracted file. # For the moment, assume windows already has this. 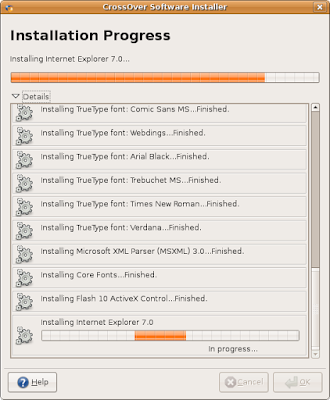 # installer work on older Wine (e.g., the stabe 1.0.1). # Call only on real Windows. # Locate vcdmount.exe. FIXME: internationalize this. # have to use cmd else vista won’t let cygwin run .exe’s? 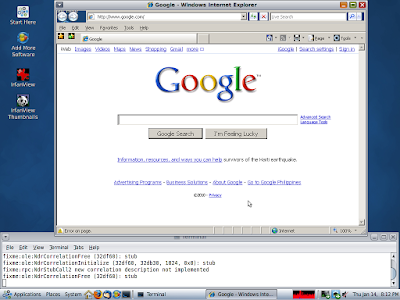 # This is an updated wininet from IE 5.0.1. 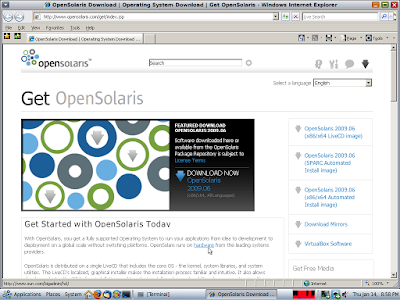 # On Solaris, choose more modern commands (needed for id -u). # Prevent running with wrong user id. # It’s bad to create files as the wrong user! # The folder-name is localized! # Did the user rename Fonts to fonts?